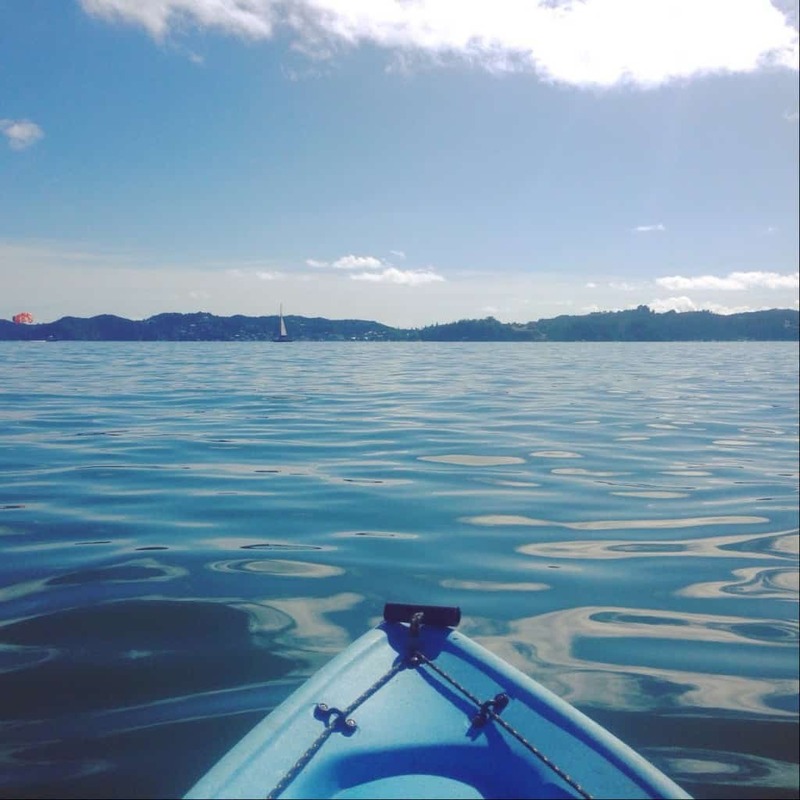 Kayaking in Paihia is a very tranquil way to experience the Bay of Islands: just you (and maybe a friend) on the kayak, away from the busy crowds. 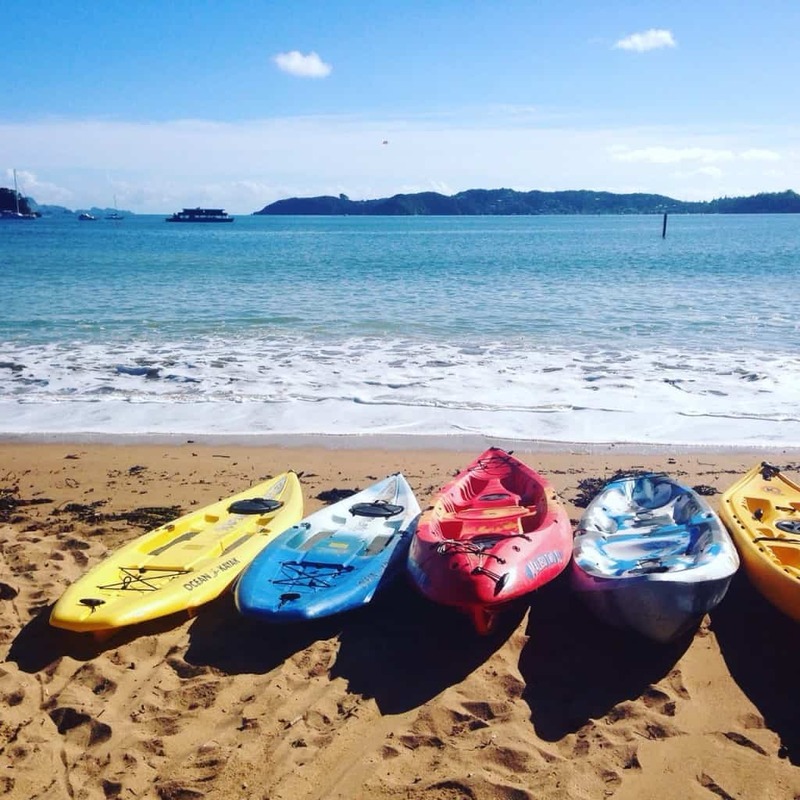 Best of all, there are a number of different options available: you can either hire a kayak on the beach and paddle around; you can go on a kayak tour; or you can bring your own kayak and launch it (there are a number of beaches to choose from). 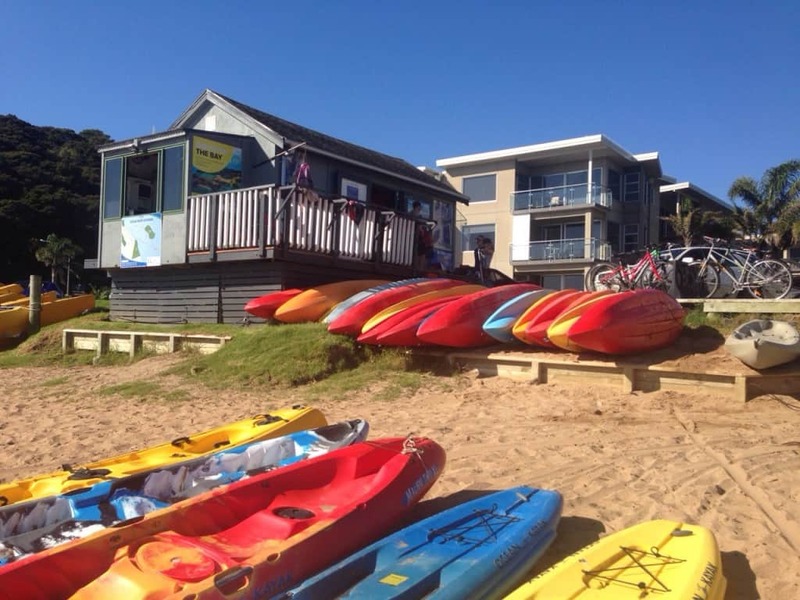 The most obvious place to hire a kayak is Bay Beach Hire, who are easy to spot: it’s the hut on the main beach with lots of kayaks outside (as well as bicycles, stand-up paddle boards, and a heap of other fun stuff). Bay Beach Hire has lots of cool toys for hire. 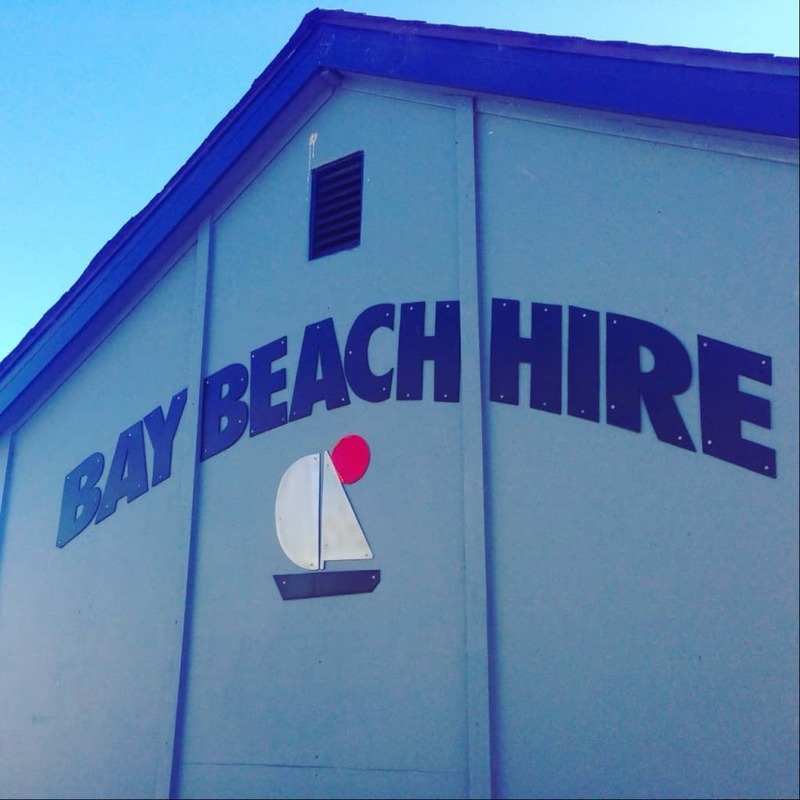 Bay Beach Hire is easy to spot – just look for the hut on Paihia beach. No matter what your level or fitness, or how long you want to spend kayaking in Paihia, there are plenty of options to choose from. Some tours last a few hours, or there are full-day options and multi-day kayaking adventures where you camp out on an island for the night. 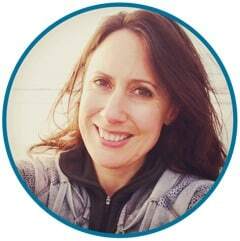 I haven’t been on any of these kayak tours myself yet (it’s on my Wish List), but some options to get you started are Coastal Kayakers (http://coastalkayakers.co.nz), Bay of Islands Cruise and Kayak (http://kayakcruises.co.nz) and Bay Beach Hire’s tours (http://www.baybeachhire.co.nz/bay-of-islands-kayaking.php). 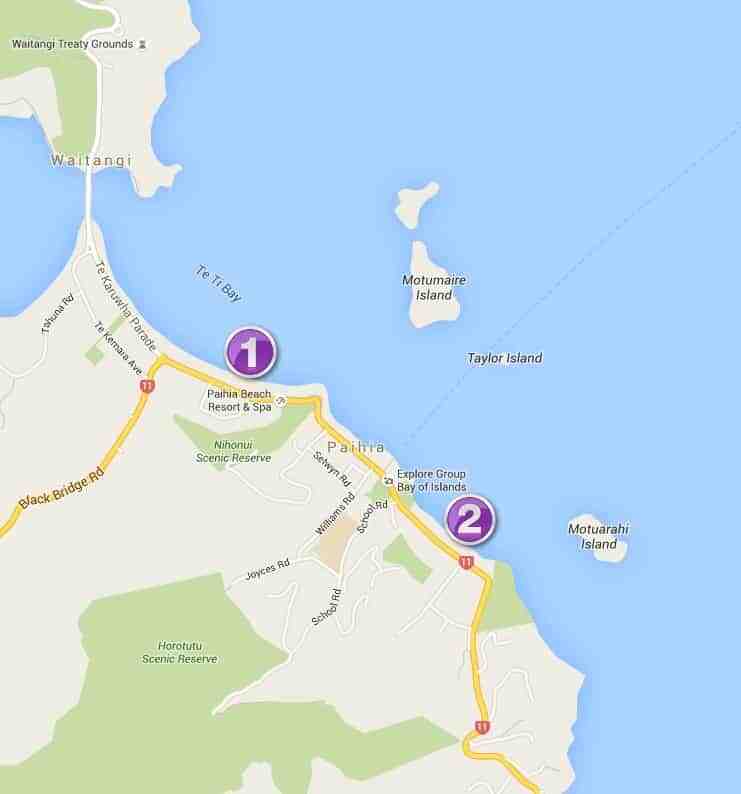 All the beaches in Paihia are open to the North-East (i.e. the Pacific Ocean), so there can be a significant swell if a weather system has bringing consistent winds from this direction. As the swell tends to wrap around land masses, you may also experience some swell in Northerly or Easterly conditions. If you like kayaking in waves, then great. But if you’re like me, and prefer flat water without surf, you’ll need to put some thought into where you launch from. It’s worth checking the Met Service marine forecast for wind, tide and swell conditions. And here’s where you can read more about Bay of Islands weather so you know what to expect at different times of the year. This part of Paihia is quieter than the main beach, and it’s usually easy to get a parking space, right next to the beach. 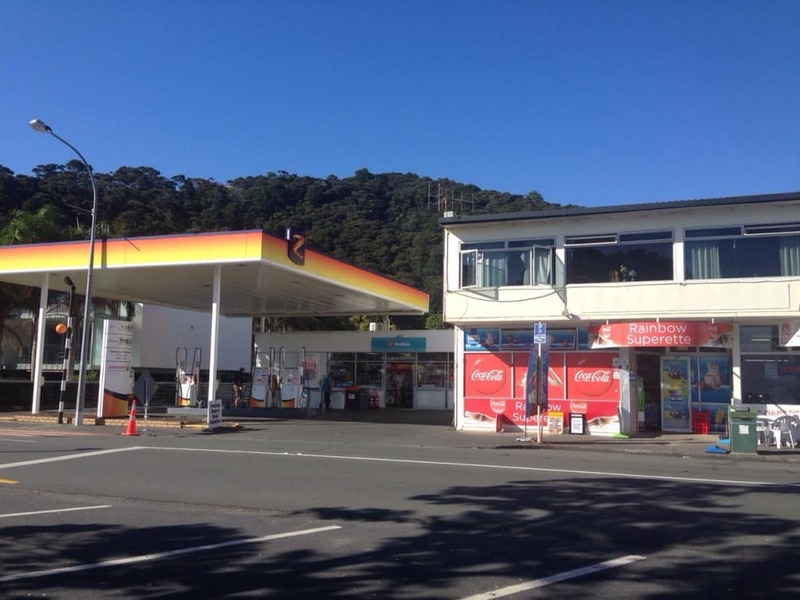 This is the quieter side of Paihia, and it’s usually easy to get a parking space next to the beach. There’s a bakery, superette (convenience store) and petrol station across the road if you need any snacks or cool drinks. Get your snacks and cool drinks across the road from this kayaking location. The wave/surf conditions vary from one end of the beach to the other, in some weather patterns. On this particular day, I decided to launch near the boat ramp. 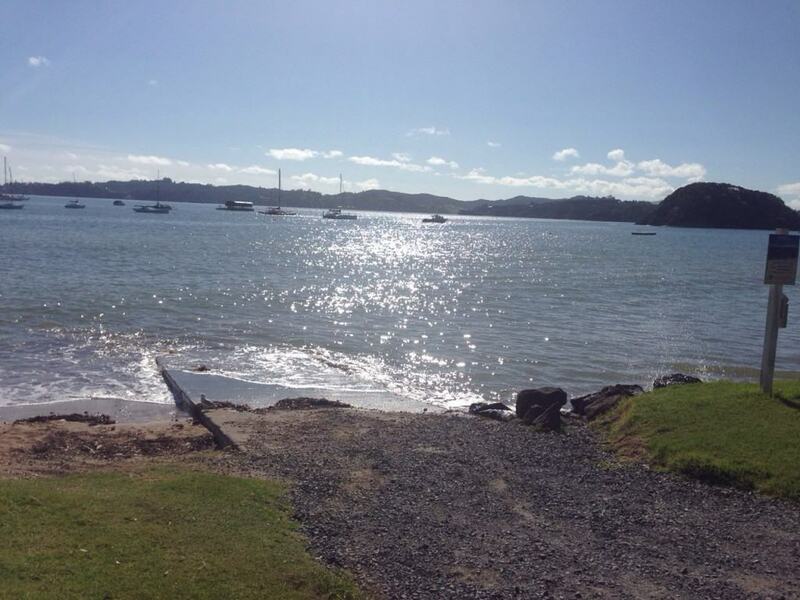 This was the spot where I chose to launch my kayak in Paihia. Me, happy to be out on the water on such a stunning day. 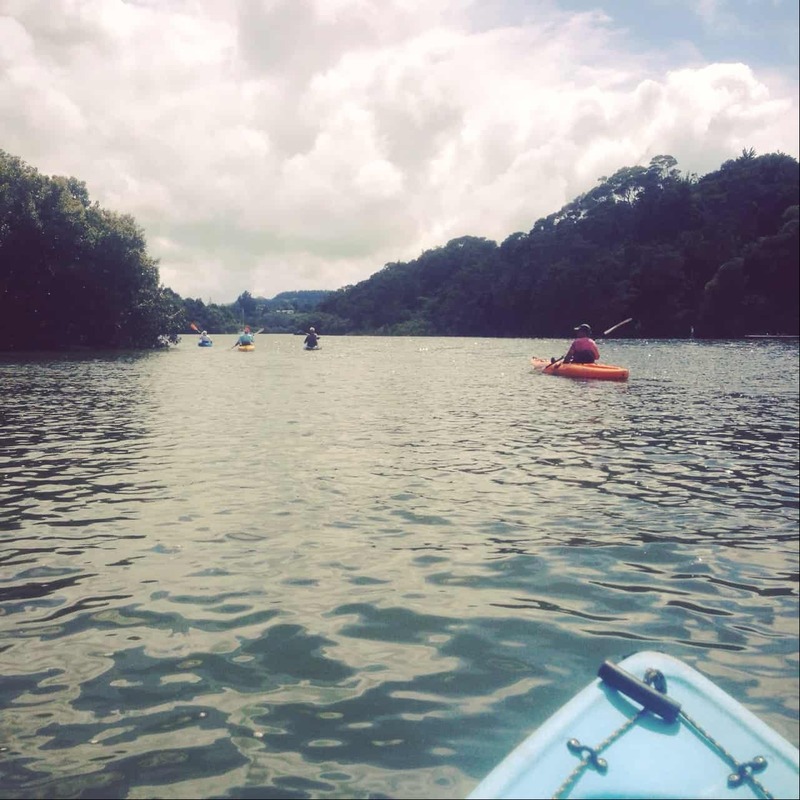 Here’s a short video clip showing the views I had from my kayak… beautiful! 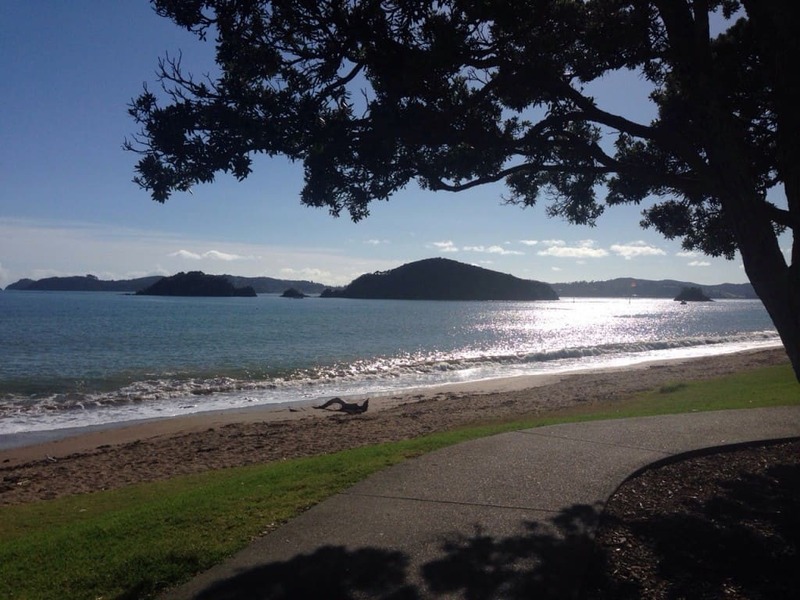 Dogs are allowed on the beaches in Paihia at certain times of the year. In future, I’ll take my dogs for a paddle, when it isn’t so hot. 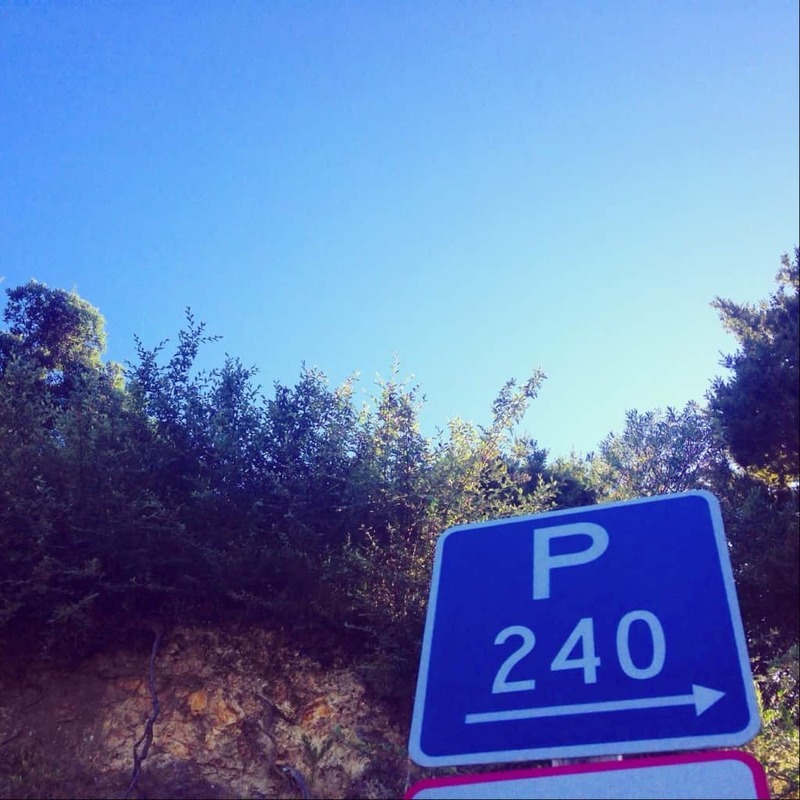 Hint: watch out for the vehicle parking restrictions in Paihia! Even paradise has traffic wardens. And please remember to never leave any valuables in your car, you are better off taking them with you in a waterproof bag. 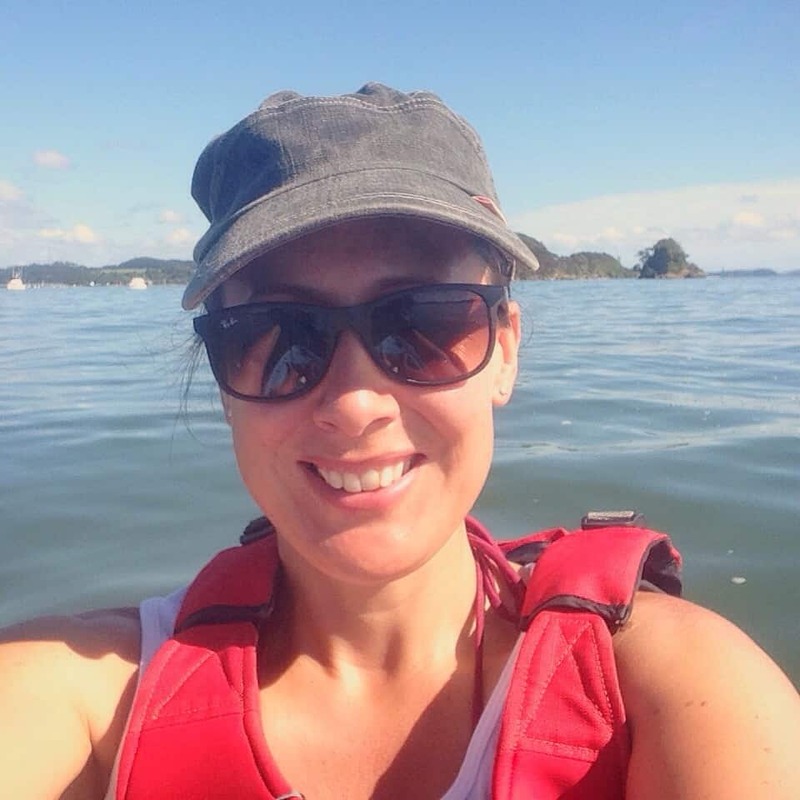 You don’t want to come back to a nasty surprise from your lovely kayaking trip in Paihia!